The True Margin™ is a tool for histo-technicians to use during the process of tissue processing to minimize tissue waste while obtaining the true margin of a tissue specimen. The current use is applied in Mohs surgery where the goal is to remove as little skin as possible in the process of excising a skin cancer. Current methods of tissue processing waste lots of valuable tissue that results in a high false positive rate. A false positive in skin cancer requires patients to undergo unnecessary surgery, increased costs for the treatment process, and poor cosmetic outcomes for patients. 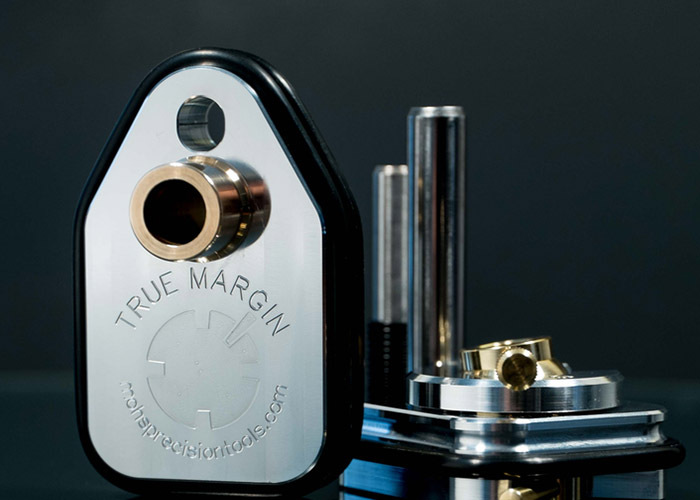 The True Margin™tool is a gracefull technology that eliminates errors in tissue preparation and allows histo-technicians to maximize efficiency and consistency regardless of their skill level. When the difference between a positive and negative margin depends on several microns of tissue, variability in sectioning could determine if a patient loses a precious body part like an eye or an ear. Skin cancer tissue excised from patients contains valuable information that must not be wasted due to errors during tissue fixation and processing. It is nearly impossible to align the edge of a tissue specimen in perfect parallel with the cryostat blade. Therefore, even perfectly planar specimens are trimmed (and tissue is wasted) slightly before complete sections come into view. Imperfect alignment also occurs when histotechnologists fail to properly position the object head of the cryostat and inaccurately align the microtome blade with the plane of the surgical margin. With a misaligned specimen, tangential cuts are made through tissue and these incomplete sections are discarded, resulting in tissue waste . By standardizing the approach to tissue fixation with a tool that accounts for small constant errors on the order of microns, the True Margin™ allows histotechnologists of varying skill levels to cut tissue with minimal waste. For example, a needle biopsy that is cut obliquely is challenging to interpret because it doesn’t show the complete sample on one slide. Too often the technician completely cuts through a sample trying to get a quality section thus forcing the surgeon/ physician to harvest more tissue from the patient. A perfectly flattened sample that is aligned to the blade shows the complete length of the sample and saves the remaining uncut sample for further testing. The True Margin™ flattens tissue samples and allows for parallel alignment to the blade using an unique ball-joint structure that registers and counters inherent misalignments in the cryostat. The goal of Mohs surgery is to remove the minimal amount of tissue necessary while removing 100% of a skin cancer. 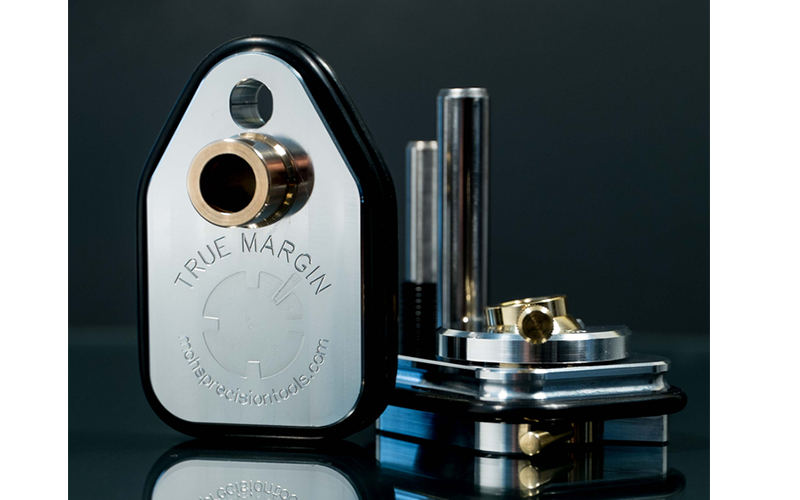 The True Margin™ tool allows the histotech to obtain the true surgical margin with minimal false positives. For the patient this means less time in a stressful and uncomfortable surgery because cancer free results are obtained faster. Typically after the surgeon takes a layer of tissue the nurse prepares a temporary dressing for the wound and the patient is sent back to the waiting room. The patient must then wait for the tissue to be processed into slides and reviewed by the surgeon to determine if the patient is cancer free or more skin must be removed. 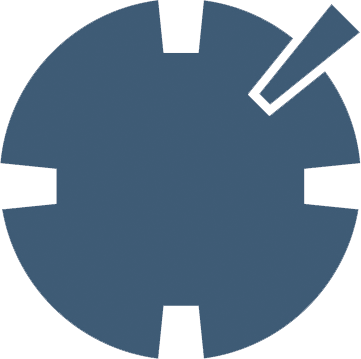 With the True Margin™ tool the turnaround time is quick enough to permit patients to stay on the operating table, and thus avoid complicated setups for patients with mobility issues. The device also decreases the possibility for a second layer of tissue to be taken from a patient. The less tissue that is excised, the smaller the wound and therefore skin defect is less visible. A smaller skin defect after cancer excision means a better cosmetic result for the patient, which has profound psychological impact. A smaller skin defect also means a faster and easier reconstruction for the surgeon. The less time a patient’s open wound remains exposed the less likely the patient is to have an infection. The True Margin™ benefits patients by decreasing surgery time, risk of infection, and a faster cancer free result with better final appearance. It is not uncommon for patients to judge the skill of a surgeon by the scar left behind. It is also common for Mohs patients to comment that the cancer seemed so small and yet their skin defect seems large. 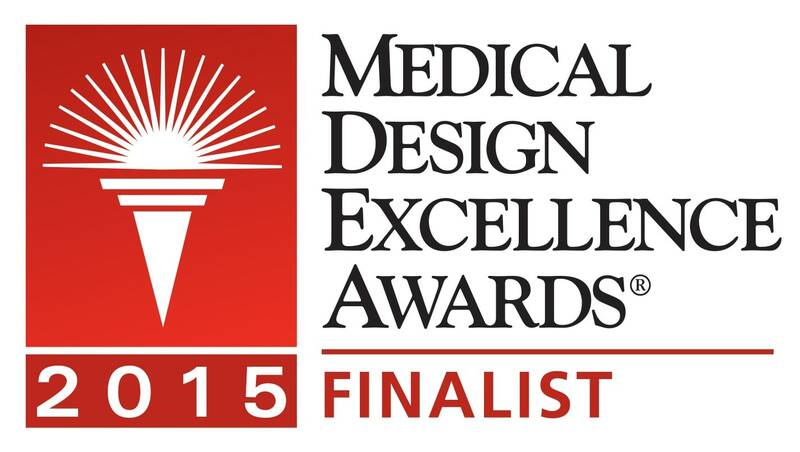 Therefore, additional skin excision can complicate reconstruction options. Most tumors can be cleared in one stage if the tissue is processed efficiently. When cancer occurs in critical areas like nasal rims, eyelids or areas that can’t afford to go deep due to nerves (sensory or motor) it is imperative to avoid false positive and try to remove the cancer in a single stage excision to avoid unnecessary tissue excision. The eventual outcome of tissue loss and the false positives in the processing of Mohs surgery slides can be devastating. Surgeons will attest to the fact the surgical excisions tend to take place at certain tissue planes. The tumor can dissect the tissue in these planes, as they are the paths of least resistance. In these instances the resected layers removed by the surgeon can be very thin membranes (often “capsule type tissue is given like fascia, perichondrium, capsules or sheaths) and are often exhausted in processing and therefore necessitate further resection. For example, a skin cancer near the eye could require excision and causing blindness. A false positive due to error in tissue processing can cost a few microns that make the difference between a patient losing an eye. The fast production of high quality slides that accurately show the true surgical margin are essential for efficient treatment. The True Margin™ tool captures the true margin of surgical specimen in the first few slides and provides significant benefits for the healthcare system by reducing work for personnel, costs and materials used. In a standard Mohs clinic the personnel required include at least one Mohs surgeon, one histotechnician, several nurses, and several clerical staff. While undergoing lengthy procedures with multiple layers the entire office personnel is required to be present, often leading to costly overtime. The True Margin™ decreases the need for multiple layers of skin needed to be taken from the same patient therefore decreasing the operative time by more than half per patient. Standard Mohs tissue fixation results in a high number of false positives, which require additional layers of skin to be taken from a patient before a true negative margin is identified. This results in a larger skin defect, which requires a more complicated closure. Its should also be noted that the investigator found an increased likelihood of lawsuits with split-thickness skin grafts, a technique often used for larger skin defects. With the True Margin ™the negative margin is obtained faster therefore decreasing the cost of additional tissue fixation materials, surgical equipment (sutures, scalpels, electrocautery, gloves).